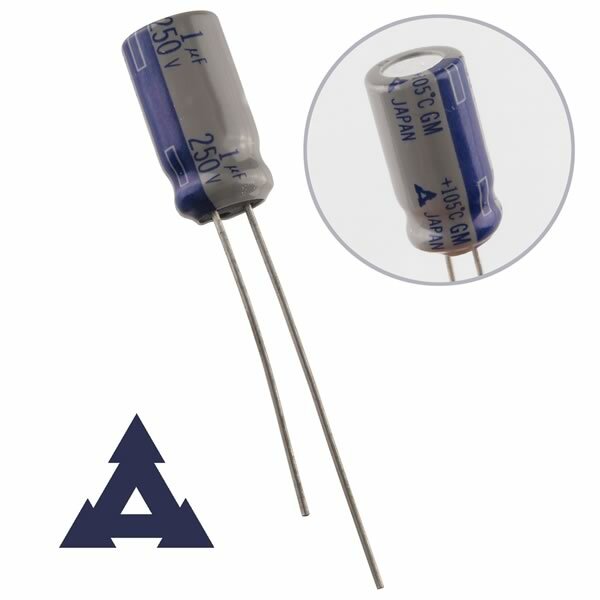 Panasonic/Matsushita 1uF 250VDC radial electrolytic capacitor is rated for 105°C. Size only 0.325" diameter x 0.610" tall. Full length leads. Sold in a package of 10.